We promote a balanced work-life and health balance to promote the production of qualified individuals to excel, advance, or re-enter the work-force. Click here to learn more about our non-profit organization and see how you can help or benefit. We research a variety of natural resources found throughout the world to bring you natural, toxin-free organic healing shakes and drinks. TiMae Health is dedicated to traveling the world to find the most rare ingredients required to provide natural, toxin-free, organic shakes and drinks to heal, rejuvenvenate, and restore. Our products heal the body like no other but without the side effects. 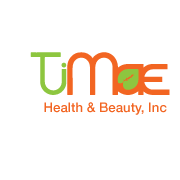 We are eager to know your needs and would love to share with you the Timae Health experience.